Savings accounts such as a college savings plan (e.g., Texas Tuition Promise Fund and the Texas College Savings Plan) are divisible assets just like bank accounts or mutual funds. Why? Because Texas is a “community property” state. This means that any property acquired by you or your spouse during the course of the marriage belongs to both of you equally. This means spouses must divide community property “fairly and justly” in the event of a divorce. In most cases, a college savings plan is opened and invested into during the course of a marriage. Hence, it is community property. 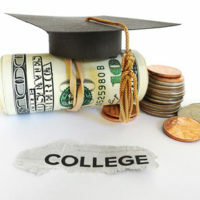 You may be inclined to simply divide the college savings plan assets between you and your spouse. To accomplish this, you would need to withdraw the assets and effectively liquidate the savings plan. Here’s the catch – the majority of college savings plans have tax penalties if you make a withdrawal for a non-educational purpose. As a result, dividing the plan’s assets between you and your spouse will likely mean that you lose a percentage of the assets in additional taxes. This is why it may make more sense to reach an agreement with your spouse where ownership of the plan is transferred. Ownership transfer may make sense financially because it is possible for both parents to contribute to the plan, even after a divorce. For example, the Texas Tuition Promise Fund allows one parent to be the primary owner while still allowing both parents to contribute to the plan, even after a divorce is finalized. Determining which spouse should assume ownership depends on an array of factors including whether you or your spouse have experience managing savings accounts and whether there is a primary owner already listed on the account. In many instances, ownership of a college savings plan will transfer to the custodial parent and both parents can then enter into an agreement to manage future contributions. However, it may be more beneficial for the noncustodial parent to be designated as owner of the plan because the noncustodial parent’s assets and income are not considered when your child is applying for the Free Application for Federal Student Aid. Regardless of which spouse retains ownership of the plan, it is important to keep in mind that higher education costs are not an automatic part of child support in Texas. This issue needs to be addressed during divorce settlement proceedings or mediation. The experienced Houston divorce and family law lawyers at Lindamood & Robinson, P.C. are here to help you through this process and counsel you on the best path forward. Our team of skilled lawyers handles all types of divorce cases including contested divorces, child custody and support issues, and simple uncontested marriage dissolutions. Whatever family law matter you have, we can help. Contact our office to schedule a meeting.